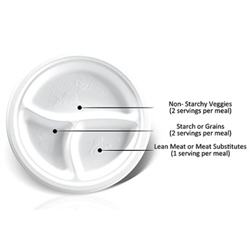 Home Portion Control Dishes for Diabetics Special Deals 4 Nutrition & Portion Control 9″ Starter Plates, Snack Bowls, Side Plates & System Discs – Inventory Clearance Sale! 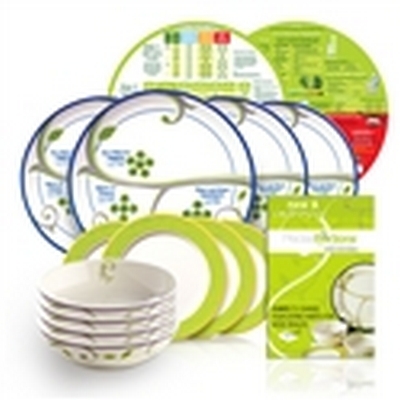 This set of 4 – 9inch beautifully crafted portion control starter plates and dishes will get you well on your way to better health over the holidays and beyond! Why not make this your treat to yourself. This way you can kick off the New Year with you putting yourself first. What a concept! This starter set allows you to build and add pieces over time. 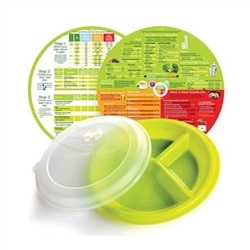 This starter Nutrition & Portion Control System can become your partner for better health.